The classic PH 4 1/2-4 pendant from Louis Poulsen features an innovative three-shade system developed by Poul Henningsen in the 1920s. The three mouth-blown opal glass shades with a sandblasted inner surface form a sculptural lamp that provides a pleasant, glare-free light and brings timeless elegance to any space. 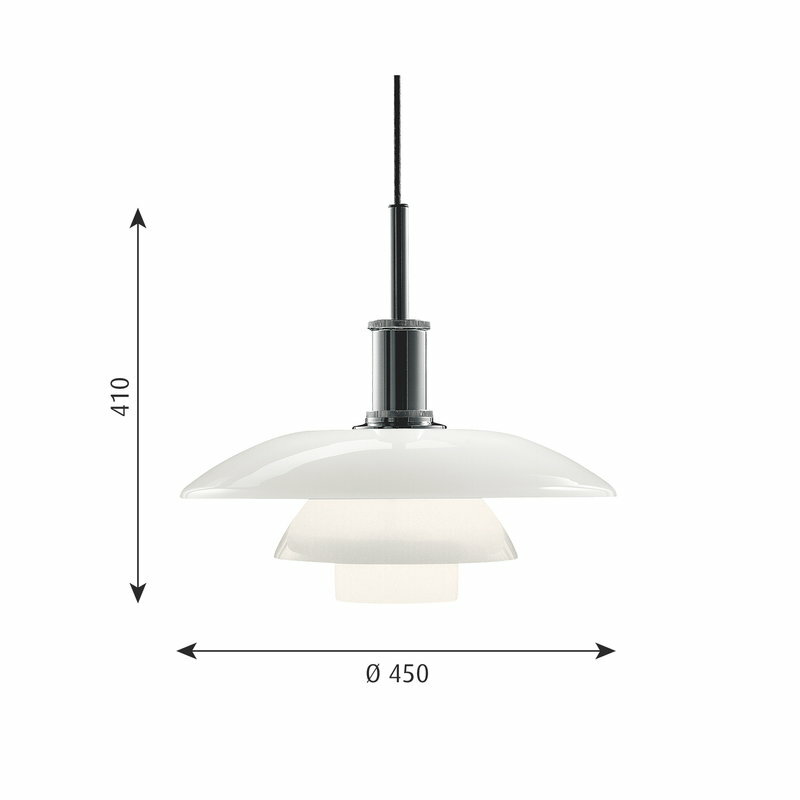 The high lustre chrome base gives the PH 4 1/2-4 pendant a modern, sophisticated look.